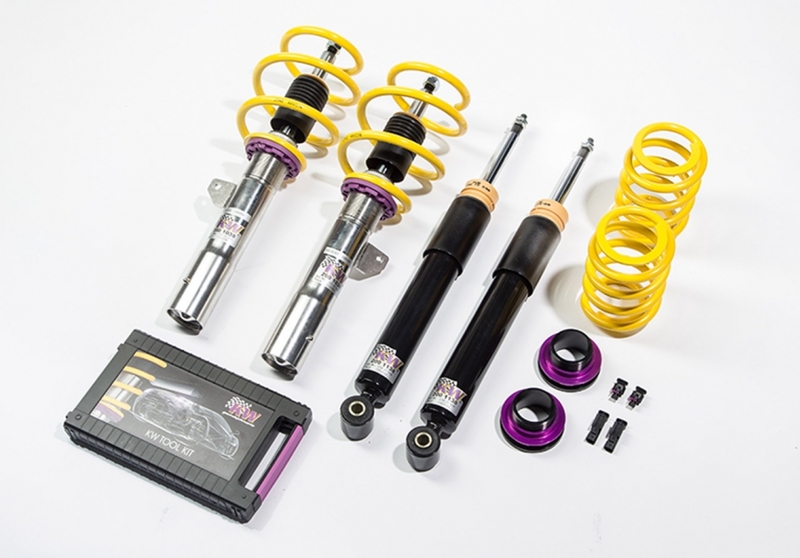 New for 2015, KW Automotive is hugely excited to offer a Variant 1 coilover kit for the new Mini F56 3-door platform (fitted with electronic damping). 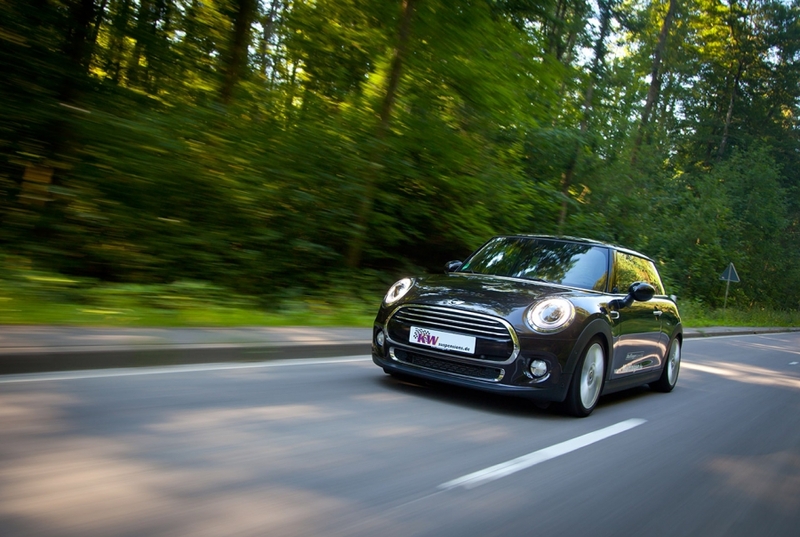 Despite the increase in size and weight when compared to its classic counterpart, the F56 Mini remains a fun and engaging hot-hatchback even in stock trim. Combine this fantastic chassis with KW coilover technology and the result is truly spectacular! KW Variant 1 is the ultimate solution for drivers looking to improve their Mini’s looks and performance without compromising the OEM ride quality. This has been achieved thanks to KW’s experienced engineers who pre-set the V1 damping from the factory giving the best balance between sporty driving, comfort and safety. All that remains is for the driver to adjust the ride height (between 25-45mm lowering on front and rear axles) to the desired level without worrying about adversely affecting the handling. What’s more, KW coilovers boast inox-line technology – a process that ensures the longevity of every kit all year round. 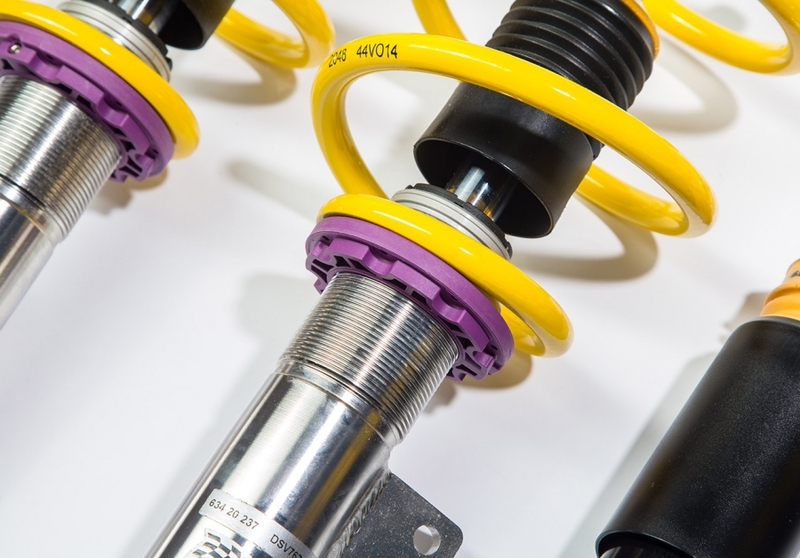 In co-operation with the University of Esslingen, a salt spray is applied for over 480-hours on inox-line coilovers to mimic environmental issues such as salt water and corrosion. Every key component including the piston rod, spring strut and adjustable spring collar remained rust and corrosion free – a true testament to the KW quality.